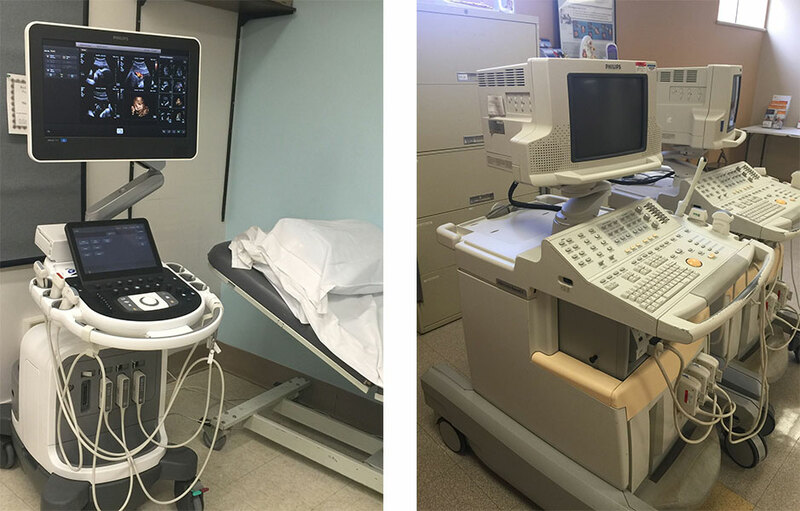 Thanks to the generous support of many local investors, including the Buffalo Sabres Alumni Association, an ultrasound was purchased by the Orleans Community Health Foundation. This ultrasound equipment provides superior image quality for more accurate diagnoses using high-frequency, wide field-of-view probes, and improved software for advanced imaging. The imaging is sensitive and powerful enough to scan all body types without additional equipment. The new equipment is available in both rooms. This will help us to have fewer scheduling delays and the portability of the ultrasound accommodates patients & staff.